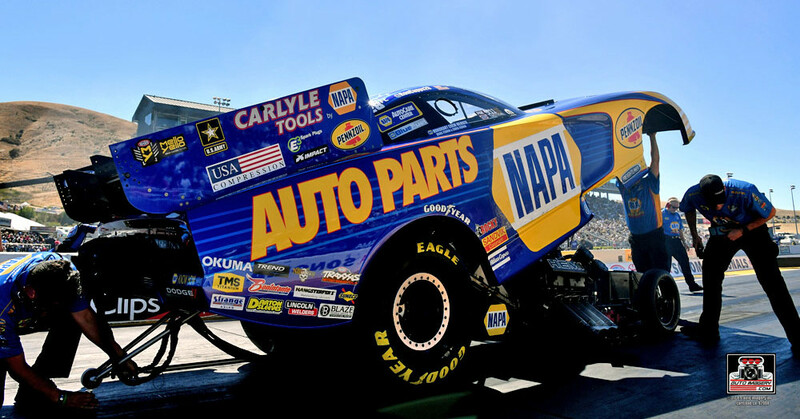 KENT, Wash. (Aug. 3, 2016) – Ron Capps can’t remember a time in his life when he wasn’t going to drag races. It started before he could walk and was attending with his racing dad, John, and mom, Betty. 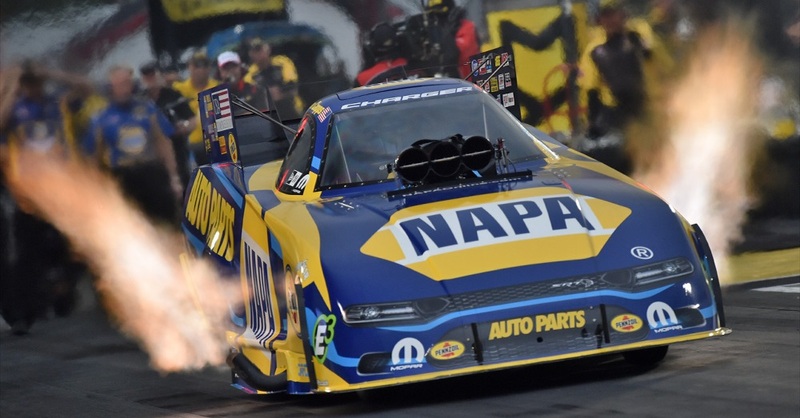 Last weekend, he was with his NAPA AUTO PARTS Dodge Charger R/T and crew chief Rahn Tobler at Sonoma Raceway near San Francisco where he recalled running around the pit area while his dad raced. Pacific Raceways near Seattle is where he won his first NHRA pro tour event title while driving Roger Primm’s unsponsored Top Fuel dragster. Ron had to endure a rain delay on Sunday and Monday before racing in the semifinals and finals on Tuesday. Shelley, is wife of three years at the time, spent the weekend at the track but had to fly back to work Monday morning. “I woke up on Tuesday morning knowing as a rookie I had a shot to get to the final, but never thought about winning if I got there. 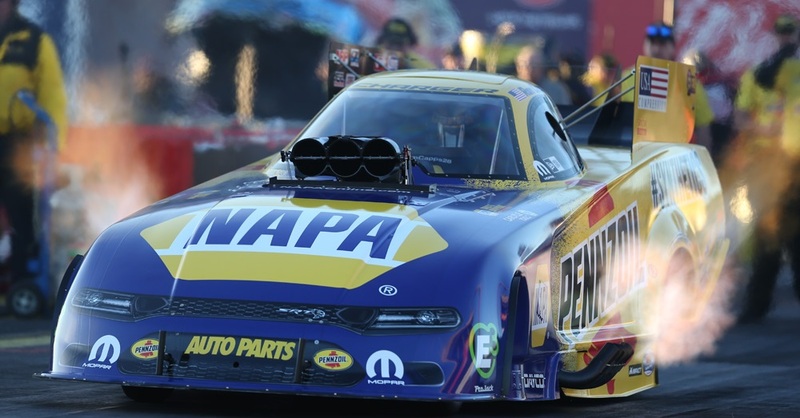 This weekend in the 16th race of the 24-event NHRA Mello Drag Racing Series season, Capps is looked at as a legend as the second winningest driver in Funny Car history with 48 titles. 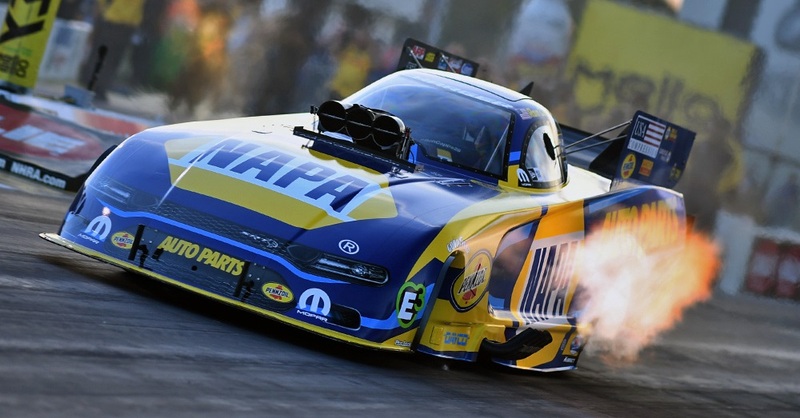 And he arrives as the points leader with a category-best four titles and a 130-point lead over Courtney Force with three races left in the regular season before points are reset to start the six-race Countdown to the Championship playoff for the top-10 teams after Labor Day. “I was part of a crew and one of the guys driving down the road,” he said of the year before he jumped to the highly financed team owned by Don Prudhomme. That move enabled Capps to let his Commercial Driver’s License expire. 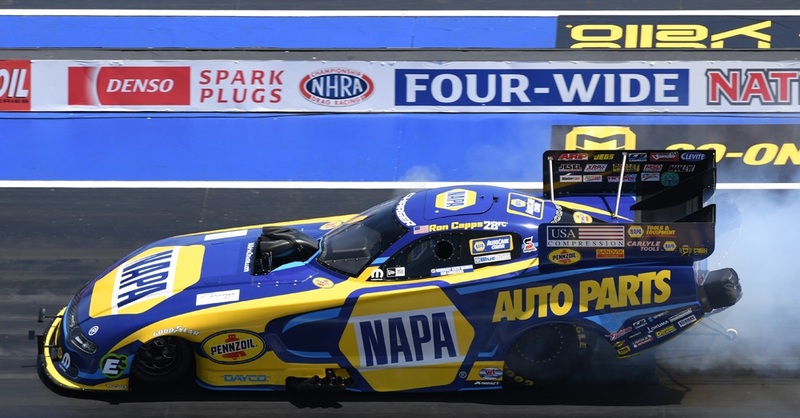 This weekend, Capps continues his world championship dream but also realizes every day at the track he’s also still living a dream.